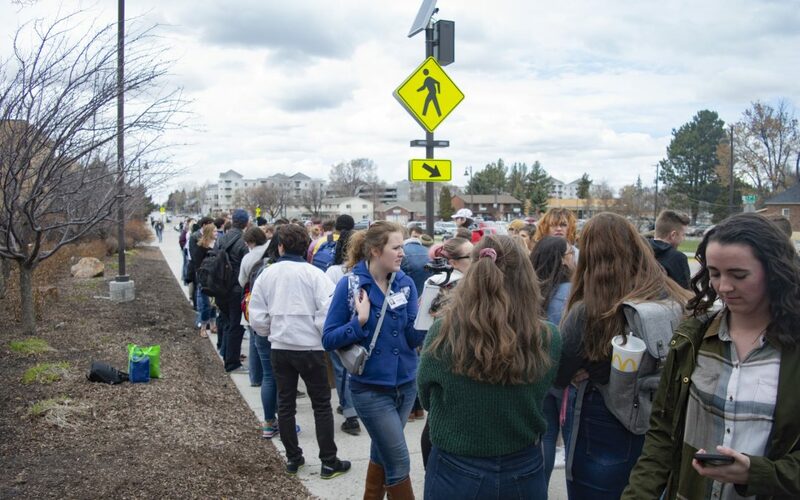 About 150 people gathered on April 10 to protest how BYU-Idaho’s Student Honor Office handles its investigations. The students presented a list of demands to the university including enhanced training for administrators and new ways of handling confidential issues. University officials had no comment on the march. Some students do feel the Student Honor Office’s investigation process could use reform. Emma Fife, a sophomore studying public health, considers just raising awareness a victory. The Honor Code that students agree to live by when they attend BYU-I includes honesty, clean language, obedience to the Word of Wisdom and Law of Chastity and obeying dress and grooming standards. Read here to learn more. What reform are the calling for? I am extremely disappointed in this misleading headline. One of the most important items about this protest – which was completely missed in the article – is that it is distinct from the BYU Petition online. While the BYU petition calls for a change of the Honor Code, the BYUI leader has only called for a change in the enforcement policies and is headed up by a different protest leader. This article borders on a nothing-burger that doesn’t touch on the actual concerns of the protesters and will not stand as a public record of what the protest was actually about. This article goes into no detail. Look at William’s comment above, he had to ask what reforms were called for. Aida, if you want to know the facts get in touch with the person who led the march on instagram: @restorehonorbyui. Then you could write a complete article that actually dives into the feelings and concerns of the marchers. The fact that this article does not contain the words “victim” or “sexual assault” shows the sad state of this newspaper. Well, in any case, it’s probably not the author’s fault. Administration, per what SRC members have told me, doesn’t see this as an actual issue and is only treating it as a PR issue at this point. I don’t doubt administration vetted this article and had a hand in selecting the hyperlinks. We don’t know what the administration thinks because they haven’t responded to clarify, unlike BYU Provo. Also, how convenient that the photo shows students standing around before the march even began. No posters visible.